This past June was the hottest ever on record according to a just released NOAA State of the Climate Report. Perhaps even more eye opening is that June’s record breaking heat is on the back of the hottest March, April, and May on record. The monthly report added that this would make June the 304th consecutive month with a global temperature above the 20th century average, and July is looking to keep the streak going. Breaking temperature records sounds like a broken record by now. Shall we go on? This past June was 0.68°C (1.22°F) above the 20thcentury average of 15.5°C (59.9°F) meaning that the average temperature rise is right on track with current modeled forecast changes. 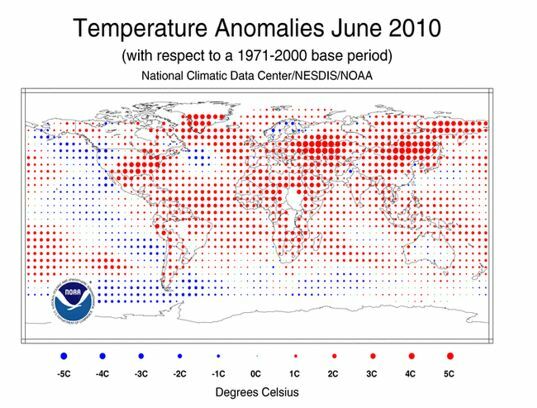 NOAA’s measurements are both of land and sea temperatures– anomalies are recorded and averaged to provide an overall picture. The largest temperature anomalies are on land. The world land surface temperature June 2010 anomaly of 1.07°C (1.93°F) was the warmest on record, easily surpassing the previous June record set in 2005 by 0.12°C (0.22°F). Southeast United States and Mexico, North East China, Eastern Europe, and Greenland showed the largest temperature gains. The data also suggests a La Nina, or cooling of the eastern equatorial Pacific ocean. 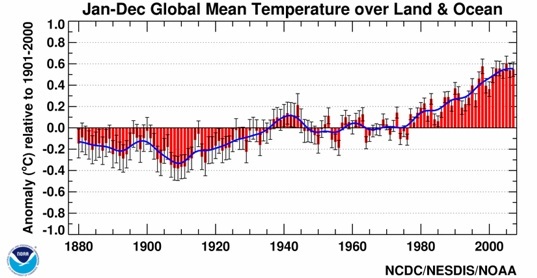 NOAA uses temperature data starting in the 1880s in determining temperature trends. They use tens of thousands of monitoring points with multiple back ups. The trending data is based on anomalies in temperature averages as a more precise form of data collection than simple average temperature. 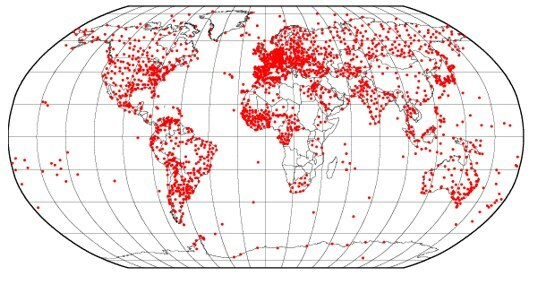 This way, if recording stations fail or record very localized temperature phenomena, the overall effect is greatly reduced from influencing the data. Perhaps the most alarming aspect of the report is that the temperature gains are highest on larger land masses which in turn are where most of the human populations reside.